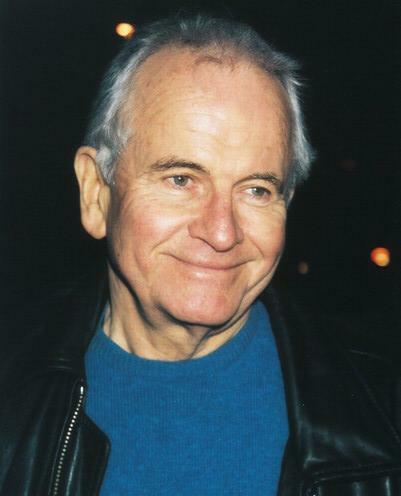 Sir Ian Holm, CBE is an English actor known for his stage work and for many film roles. He received the 1967 Tony Award for Best Featured Actor for his performance as Lenny in The Homecoming and the 1998 Laurence Olivier Award for Best Actor for his performance in the title role of King Lear. He was nominated for the 1981 Academy Award for Best Supporting Actor for his role as athletics trainer Sam Mussabini in Chariots of Fire. Other well-known film roles include the android Ash in Alien, Father Vito Cornelius in The Fifth Element, and the hobbit Bilbo Baggins in the first and third films of the Lord of the Rings film trilogy. Holm was born Ian Holm Cuthbert in Goodmayes, then in Essex , to Scottish parents, Jean Wilson (née Holm) and James Harvey Cuthbert. His mother was a nurse, and his father was a psychiatrist who worked as the superintendent of the West Ham Corporation Mental Hospital and was one of the pioneers of electric shock therapy. He had an older brother, Eric, who died in 1943. Holm was educated at the independent Chigwell School in Essex. His parents retired to Mortehoe, Devon and then Worthing where he joined an amateur dramatic society. A visit to the dentist led to an introduction to Henry Baynton, a well-known provincial Shakespearean actor who helped Holm train for admission to the Royal Academy of Dramatic Art, where he secured a place in 1949. His studies there were interrupted a year later when he was called up for National Service in the British Army, during which he was posted to Klagenfurt in Austria and attained the rank of Lance Corporal. They were then interrupted a second time when he volunteered to go on an acting tour of the United States in 1952. He finally graduated from RADA in 1953; whilst there he had been offered 'spear-carrying' roles at Stratford and he stayed there for 13 years, soon graduating to more significant roles and abandoning plans to move on after Peter Hall founded the Royal Shakespeare Company in 1960. Holm was an established star of the Royal Shakespeare Company before making an impact on television and film. In 1965, he played Richard III in the BBC serialisation of the Wars of the Roses plays, based on the RSC production of the plays, and gradually made a name for himself with minor roles in films such as Oh! What a Lovely War , Nicholas and Alexandra , Mary, Queen of Scots and Young Winston . In 1967, he won a Tony Award for Best Featured Actor in a Play as Lenny in The Homecoming by Harold Pinter. In 1977, Holm appeared in the TV mini-series Jesus of Nazareth as the Sadducee Zerah, and a villainous Moroccan in March or Die. The following year he played J. M. Barrie in the award-winning BBC TV series The Lost Boys, in which his son Barnaby played the young George Llewelyn Davies. Holm's first film role to have a major impact was that of the treacherous android, Ash, in Ridley Scott's Alien . His portrayal of Sam Mussabini in Chariots of Fire , earned him a special award at the Cannes Film Festival and an Academy Award nomination for Best Supporting Actor. Back home in England, he won a BAFTA award, for Best Supporting Actor, for Chariots. In the 1980s, he had memorable roles in Time Bandits , Greystoke - The Legend of Tarzan, Lord of the Apes and Terry Gilliam's Brazil . He played Lewis Carroll, author of Alice in Wonderland in the Dennis Potter-scripted fantasy Dreamchild . In 1989 Holm was nominated for a BAFTA award for the TV series Game, Set and Match. Based on the novels by Len Deighton this tells the story of an intelligence officer who discovers that his own wife is an enemy spy. He continued to perform Shakespeare, and appeared with Kenneth Branagh in Henry V and as Polonius to Mel Gibson's Hamlet . Holm was reunited with Kenneth Branagh in Mary Shelley's Frankenstein , playing the father of Branagh's Victor Frankenstein. Holm raised his profile in 1997 with two prominent roles, as the stressed but gentle priest Vito Cornelius in The Fifth Element and the tormented plaintiff's lawyer in The Sweet Hereafter. In 2001 he starred in From Hell as the physician Sir William Withey Gull. The same year he appeared as Bilbo Baggins in the blockbuster film The Lord of the Rings: The Fellowship of the Ring, having previously played Bilbo's nephew Frodo Baggins in a 1981 BBC Radio adaptation of The Lord of the Rings. He reappeared in the trilogy in The Lord of the Rings: The Return of the King , for which he shared a SAG award for Outstanding Performance by a Cast in a Motion Picture. Holm has been nominated for an Emmy Award twice, for a PBS broadcast of a National Theatre production of King Lear, in 1999; and for a supporting role in the HBO film The Last of the Blonde Bombshells opposite Judi Dench, in 2001. Holm has provided voice-overs for many British TV documentaries and commercials. Holm is a favorite actor of Terry Gilliam, having appeared in Time Bandits and Brazil. Holm has also appeared in two David Cronenberg films, Naked Lunch and eXistenZ and was Harold Pinter's favourite actor, the playwright once stating: "He puts on my shoe, and it fits!" Holm made a stir as Lenny in the first ever performance of Pinter's masterpiece The Homecoming. He has played Napoleon Bonaparte three times. First, in the 1972 television series Napoleon and Love. Next, in a cameo comic rendition, in Terry Gilliam's Time Bandits from 1981. He completed the set in 2001 playing the fallen and exiled leader in the fanciful film The Emperor's New Clothes. He was made a CBE in 1990 and a Knight Bachelor in 1998 for Services to Drama. Holm has been married four times. His first three marriages ended in divorce. In 1991, he married his third wife, actress Penelope Wilton, in Wiltshire. They appeared together in The Borrowers on British television. They divorced in 2001. He is currently married to artist Sophie de Stempel, a protégée and life model of Lucian Freud. Holm has five children; three daughters and two sons from three women, including the first two of his four wives. His eldest two are from his first marriage, two are by Bee Gilbert, and the youngest is from his second marriage. In chronological order: His eldest daughter, Jessica, is presenter of the Crufts Dog Show; Sarah-Jane Holm played Jenny Rodenhurst Simcock in A Bit of a Do. Barnaby Holm acted as a child but now lives in Los Angeles as a Hollywood club owner, Melissa Holm is a casting director. Harry Holm is a filmmaker most notable for his music videos, and is engaged to Samantha Morton. He was treated for prostate cancer in 2001; the disease currently appears to be in complete remission. Whole or part of the information contained in this card come from the Wikipedia article "Ian Holm", licensed under CC-BY-SA full list of contributors here.